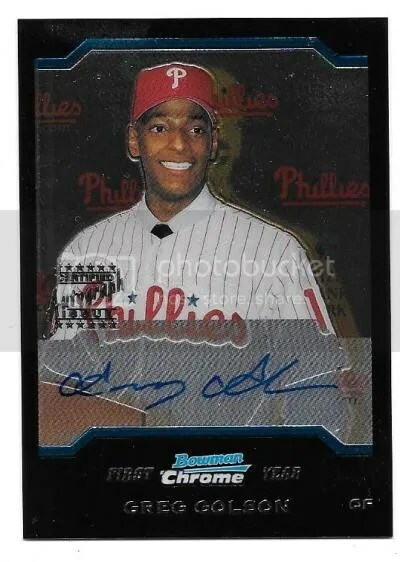 Congrats to dawgbones on being the lucky winner of the Zach Collier 2008 Bowman Draft Picks & Prospects Chrome Auto. Once dawgbones sends me their mailing address, I will ship this card ASAP. Thanks! 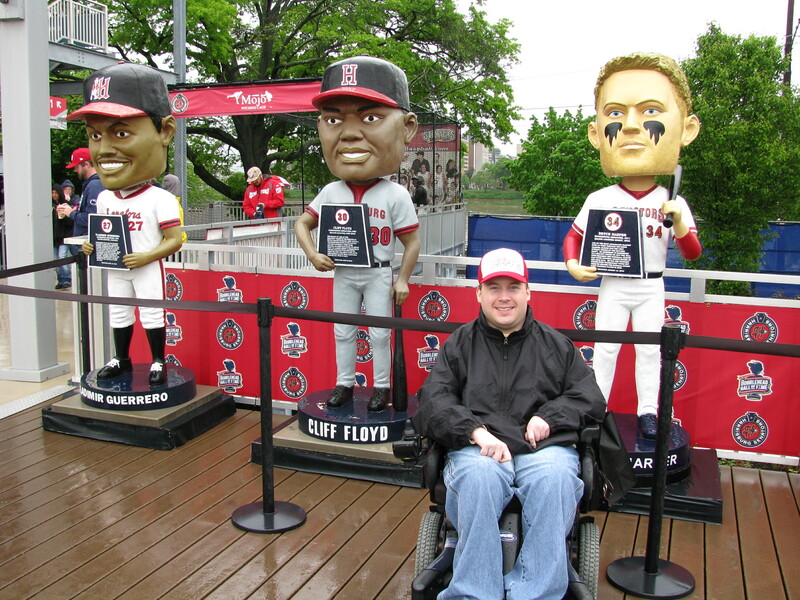 On 5/6/17 I attended a Harrisburg Senators game. 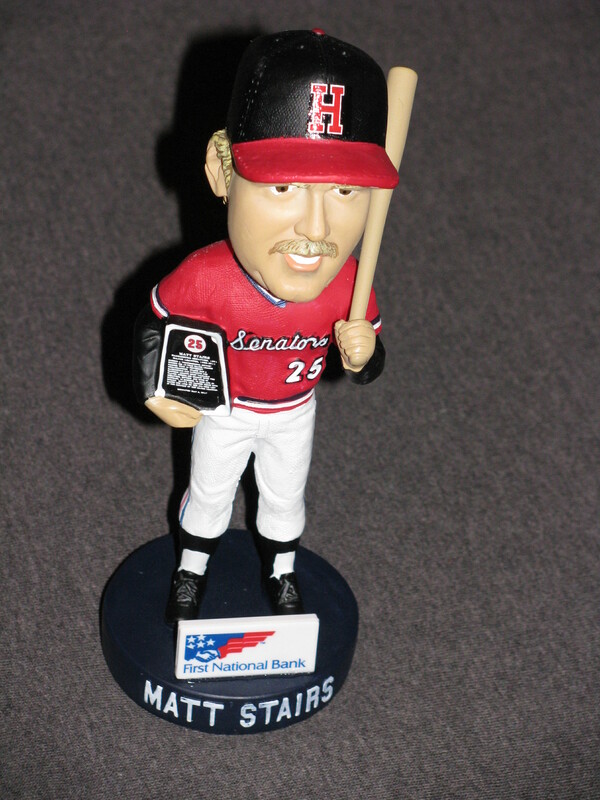 They played the Hartford Yard Goats and it was Matt Stairs bobblehead night. While eating my hamburger and fries I read over the starting lineup for the Senators and noticed a familiar name – Zach Collier. Zach Collier was originally drafted by the Phillies in 2008 and now plays for the Senators. This contest is for a Zach Collier 2008 Bowman Draft Picks & Prospects Chrome Auto. Good luck!!! This contest will end Friday, May 12, 2017 @ 8:00 p.m. EST. Anyone remember this dude? If this were 2004 you’d be going nuts right now. 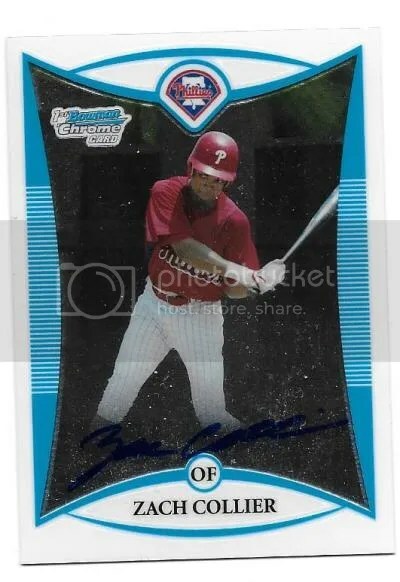 This contest is for a Greg Golson 2004 Bowman Draft Picks & Prospects Chrome Auto. Greg Golson was a top prospect to pull at the time. Unfortunately this Round #1 draft pick didn’t live up to the hype. He still plays though. 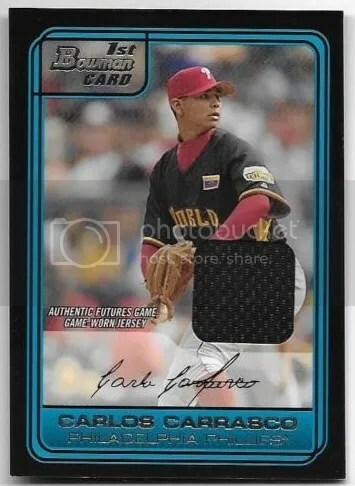 The last I heard he was with the New Britain Bees. Good luck!!! This contest will end Friday, December 2, 2016 @ 8:00 p.m. EST. This contest will end Friday, July 8, 2016 @ 8:00 p.m. EST.